Mark May 1 – 25, 2014 for a visit from Gabrielle Worley, Global Mission Intern, serving in Armenia. She will be available to speak to groups in our congregations or cluster events. If you would like to host her, please fill out the form and our staff will contact you. Hosting information is linked, including her bio and information about Armenia. Global Ministries will provide for her transportation expenses while in the region and conference. Our congregations are asked to provide her with meals and local transportation (if needed). 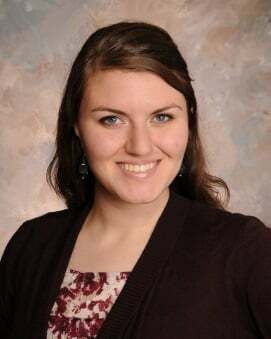 GGabrielle Worley has served 2 years as a Global Mission Intern. She served 1 year with the Middle East Council of Churches and the Forum for Development, Culture, and Dialogue, Beirut, Lebanon, and 1 year with the Armenian Association of America (AMAA). In Armenia Gabrielle wrote articles, assist with the Child Sponsorship Program, taught English to young adults at the AMAA’s young adult “Live Your Dream” center, and taught English to AMAA pastors. Her ministry was made possible because of funds provided by the Week of Compassion of the Christian Church (Disciples of Christ). Gabrielle enjoys sharing her experiences through presentations of the country and her work incorporating her faith and creativity. Gabrielle was born November 1, 1988 in Chicago, IL. Gabrielle grew up attending St. John the Baptist Syriac Orthodox Church (Villa Park, IL) and First United Church (Oak Park, IL). Transportation – Please arrange local transportation. Gabrielle will have a Power Point presentation – please provide a LCD projector and screen. Also, please provide a small table for display items and a microphone. Please be in touch with her to determine what audio visuals she will need. Churches Requesting Visits thus far. By Filling in this form you are contacting a member of our staff, who will be in touch with you to confirm dates.